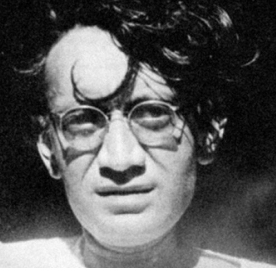 This essay is a humble attempt to address the misunderstandings between Saadat Hasan Manto – who passed away 64 years ago on the 18th of January last month – on the one hand, and Progressiveness or the Progressives on the other. 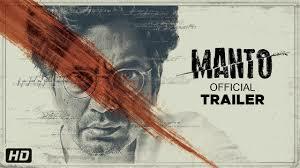 This is especially important in the light of the fact that Nandita Das’ recently-released biopic on Manto had some sharp – but not inaccurate – commentary on the relationship between the “maverick” writer and the Progressive Writers Association; as well as the fact that Das’ film was banned from release in Pakistan. After all, Progressives were at the forefront of protests last week in the major cities of Pakistan against this unanticipated development. He is illiterate, by this token he has never read Marx, no book of Freud has ever passed his eyes. He has only heard the name of Hegel. But the fun was that these people…I mean critics say that he is influenced by all these thinkers. Manto laughed at himself and also made fun of others. Once, while conversing with Ali Sardar Jafri, he had said that if a short story written by him manages to pass silently, “I cannot rest unless there be some commotion.” He was called Badnaam Manto (Infamous Manto) because of these commotions. He was described as being intemperate and impertinent too. He relished these titles. But all of these are external forms, the truth within is something else. In the aforementioned extract about his intellectual influences, whatever he said is one hundred percent inaccurate. He said these things in a satirical style. The truth is that Manto indeed began reading and writing – like many contemporaries – by studying socialism and socialist literature. He was steeped in the work and thought of socialist and revolutionary writers. It is a different matter that in the background, his domestic situation, the strictness of his father, the lack of kindness and love were operating and leading his restless disposition “astray”. His did gravitate towards gambling and alcoholism. At that very turn, he met a communist leader like Bari Alig, who took out the Musavaat paper. He realized Manto’s disposition and state, and not only brought him towards reading and writing but explained the meaning and sense of socialist politics – and gave him socialist literature to read. 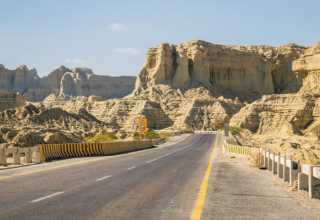 Manto’s agitated mind was in search of a path. 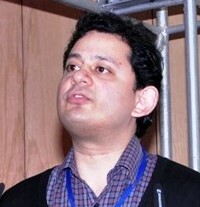 He was in Amritsar at that time. The devastating tragedy of Jallianwala Bagh in Amritsar rode heavily on his senses, at just seven years of age. He used to go to the Bagh and think for hours: “What is this tragedy – why this spectacle?” That is why the first original story from his pen was published with the title, indeed, Tamasha. 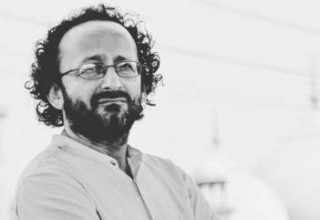 But before this, the spell of socialist thought and vision had been cast over him under the patronage and guidance of Bari Alig. At the instruction of Bari, Manto translated a novel of Victor Hugo and a drama of Oscar Wilde into Urdu. 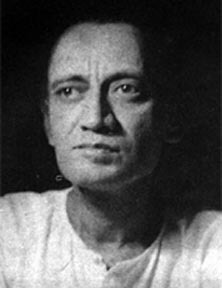 Many essays, short stories and dramas also appeared in translation in Urdu, with the publication of which Manto was very happy. This was the period when young Manto used to call himself ‘Comrade’; his room or home as Dar ul Ahmar(Red Room). In a corner of the room was a statute of Bhagat Singh. And on the walls, pictures of Marx, Lenin, Gorky, etc. This was the time when Manto’s restless and uneasy disposition was being cast in the mould of humanism, patriotism and Progressiveness; and his essays were being published, first in Musavaat and then in Khalq. Both these journals were owned by Bari Alig. Bari sahib, socialist writer, our ustad. Thinking was his job. He had us perform many tasks for him and doing translations. For me and Hasan Abbas (friend) these arrangements were interesting and enthusiastic. Whither Moscow and whither Amritsar, but we had found all paths of reaching Moscow and becoming rebels – we had indeed recognized Amritsar as Moscow and wanted to see an exemplary end to the despotic and oppressive rulers in these very lanes. Manto’s literray journey began through Bari sahib’s patronage and his journals Musavaat and Khalq. When I came out of the mushaira, a student with extremely intelligent eyes and sickly face took me to his room by saying, “I too am a revolutionary.” A huge picture of Victor Hugo hung in his room and on the table was his own photograph with some of his friends, on the back of which was an extract from Gorky. This was SaadatHasanManto. He gave me Bhagat Singh to read and introduced me to Victor Hugo and Gorky. He felt suffocated and confined in the environment of Aligarh, and felt alienated fairly soon. Some people cite his poor health as a reason that the pain in his chest had increased, which it was extremely important to treat immediately. So Manto left Aligarh to come to Delhi for treatment; and it was here that Manto’s connection with both education and Aligarh broke, never to be established formally again. Now I will mention those few essays of Manto which pertain to socialism. I would even argue that they are a result of the socialist thought of Comrade Manto. And they constitute the foundation for the building of Manto’s thought and art.